Historicals, whether it be a drama or a movie, when done right, are powerful motivators for their audience to learn more and appreciate history. Personally, I do have a soft spot for this genre, but when it comes to Kdramas, I have yet to make the deep dive into saeguks or historicals. My gateway to this was the tvN 2017 drama “Chicago Typewriter”, which I loved, and now, I finally managed to go a little bit further back in time from that with the 2018 tvN hit, “Mr. Sunshine”, which boasted sky high ratings, and earned itself a place in drama history as one of the best of 2018. This praise is definitely well earned as it has memorable character, astounding performances, and beautiful cinematography, in an epic story that slows down a bit in the middle despite the slow burn, but rounds itself out in a satisfying conclusion that is, in the show’s own words, full of “guns, glory, and a sad ending”. This historical romance melodrama aired on tvN from July 7 to September 30, 2018, and was also distributed on Netflix. It was directed by Lee Eung Bok (“Dream High”, “Dream High 2”, “School 2013”, “Discovery of Love”, “Descendants of the Sun”, “Goblin”) and written by certified drama hitmaker Kim Eun Sook (“Lovers in Paris”, “Lovers in Prague”, “Lovers”, “On Air”, “City Hall”, “Secret Garden”, “A Gentleman’s Dignity”, “Heirs”, “Descendants of the Sun”, “Goblin”). Aside from achieving sky high ratings, the series got a lot of critical praise, as it did have good storytelling, great performances and cinematography, and allowed audiences to get interested in that South Korean history. However, the show was also criticized for its historical inaccuracy, and a particular character was modified due to criticisms of “romanticizing” the pro-Japanese stance in the country at that time. “Mr. Sunshine” is set in South Korea, during the Joseon dynasty, and spans the turbulent political years from 1871 to the early 1900s, ending with the Russo-Japanese War and the early days of Korea’s annexation to Japan. The drama follows Eugene Choi (Lee Byung Hun), a former slave in Korea who escaped to America as a boy and is now back as a US Marine Captain; Gu Dong Mae (Yoo Yeon Seok), a butcher boy who fled the country as a teenager to Japan and is now back as the head of the Korean branch of the yakuza group Musin Society; and Kim Hee Sung (Byun Yo Han), the heir to one of the richest families in Joseon aside from the king, who went to Japan to study and is finally back after ten years. Their lives converge as they all have a connection to Lady Go Ae Sin (Kim Tae Ri), a young and stubborn noblewoman who harbors a secret of her own. Together, alongside Hina Kudo (Kim Min Jung), a Korean woman who married a Japanese man and who owned the very Western Glory Hotel, they try to navigate life in a turbulent period where their own allegiances, love, and love for country is tested. The entire cast, from the main characters to the ones in the background, were nothing short of stellar, which is no wonder why the main cast members were nominated and won several local awards. Lee Byung Hun, Kim Tae Ri, Kim Min Jung, Yoo Yeon Seok, and Byun Yo Han quite literally embodied their characters, and gave us the performance of a lifetime. They got all their nuances down pat, and these were powerful enough performances that a slight shift in the eye their eyes look, or a smile says a million words on its own. Kim Eun Sook is definitely a certified hitmaker, with all the dramas I mentioned above under her belt. She definitely has a way of creating memorable characters that you end up falling in love with, and a way of setting things up so that they pay off wonderfully in the end. Also, I watched this before knowing that there were changes made to Gu Dong Mae’s character, but even so, I do believe that the changes in his character were done seamlessly. However, even if I am someone who is patient when it comes to slow burns, I did feel like the drama lost momentum a little bit somewhere in the middle, and the pacing became slow in order to spend more time on the romance part of it. Thankfully, that pays off in the last three episodes, which were a roller coaster ride of emotions and action. Lee Eung Bok is a wonderful director who really knows how to get what is needed out of his actors. Aside from this, the cinematography and the way the story was told was nothing short of beautiful and epic. The production value was nothing short of epic, with wonderful sets, and great costumes, all the way to the score. At the core of this drama, however, are the timeless messages that it wanted to convey, from finding one’s true purpose and standing by it no matter what, that internal struggle of figuring out as to where your loyalties really do lie, to the little and big ways that one can show their patriotism. “Mr. Sunshine” is definitely not only a great way to get interested in South Korean history, but also boasts great production value, timeless messages, great characters, wonderful cinematography, and outstanding performances that no one will forget anytime soon. Now you know the drill, from here on out, there will be spoilers! Also, warning, this post will be long as there is A LOT to unpack here. The direction was definitely on a different level as it delivered cinematic and breathtaking visuals, and told the story visually in a great way. Despite the pacing issues, the five main characters were written and portrayed well, and their stories did come full circle in the end. It was also interesting how these characters were also relateable despite them living in the past. Most of the plot did revolve around Ae Sin, as her actions and choices also affected the four other characters, and in particular, the men. Ae Sin was a young noblewoman living at the crux of modernization. This reflected in how she still held to her beliefs about society and how she behaves, yet is also willing to accept more modern things and ideals as well. She also started out as someone who did have her heart in the right place by wanting to fight for her country, but in the beginning, she romanticized it. In the end, she became someone who was willing to fight for those she cared for, regardless of class, and transitioned well into becoming a more hardened sniper and captain in the Righteous Army who no longer romanticized what the fight is all about. I would have liked to have seen that transition play out on screen, but I liked how Kim Tae Ri, in the way she spoke and acted in the third half of the series, showcased, albeit subtly, a more mature and hardened Ae Sin; as compared to the young, naiive noblewoman that she was for most of the series. In most comment threads, a common consensus is that Ae Sin symbolizes Joseon herself, and the three men in her lives, and the people around her, are the different kinds of citizens in the country- ranging from different classes, and different loyalties to her. This is also seen, interestingly, in the her clothes, especially in that one scene in which she was actually wearing the colors of the flag. Eugene’s journey was definitely a romantic one, not only with Ae Sin, but with his native land itself. Eugene’s actions of patriotism wasn’t fuelled totally by his love of country, but because of his love for Ae Sin and for the people there that he cared about. For the entire show, he struggled with his feelings for Joseon, and in the end, died in Joseon, for the people that he loved. He still felt like a foreigner in his native land, but that didn’t lessen the sacrifices and good deeds that he did to protect those he cared about there. As a soldier, though, it was very apt that among the three main men, he was the one who did with “guns”. Lee Byung Hun did a good job at portraying the stoic Eugene, and I loved it even better when it felt like his character loosened up when he returned on his own volition to Joseon after his imprisonment. Eugene giving Ae Sin his gloves so that she can keep warm. Eugene’s struggle resonated a lot with me because just like him, I am American, but the blood that runs through my veins is Filipino, and I do live in the Philippines. I do love both countries, but my choices and how I choose to be patriotic is more motivated by the people I care about there. Also, just like him, the duality of being both is a struggle, and sometimes, there are times when it is more advantageous to be just one or the other. Among all the lesser characters that interacted with Eugene, the standouts were Jang Dong Yoon as Joon Young, a young nobleman who trained under Eugene at the Royal Military Academy and became part of the Righteous Army; Major Kyle Moore (David Lee McInnis), Eugene’s best friend; his interpreter; and the two slave hunters. Kim Hee Sung (Byun Yo Han), our favorite carefree spirit, who did become someone great. I originally didn’t think much of Kim Hee Sung, but as the series progressed, he became one of my favorite characters. A character like him could have easily been one dimensional, but under Kim Eun Sook’s pen with Byun Yo Han’s portrayal, this character became a complex one that everyone wanted to root for. Hee Sung & Ae Sin in front of the school where Ae Sin insisted on studying English. This was a character that masked his inner demons (his family’s past wrongdoings) by appearing carefree to others, and one that was really searching for his life’s purpose. He also could have also been an annoying enemy to Gu Dong Mae and Eugene due to the fact they were all vying for Ae Sin’s attentions, yet, he chose to be the better man, gave up his own birthright as penance for his parent’s sins, and had an epic bromance with the other two. (I lived for their banter in this show!) Also, he wasn’t kidding when he said that he would definitely become someone great once he found what he wanted to do, and he was great indeed, choosing to become an actual photojournalist, and smartly hiding the right information so that it could get discovered in the future. Among the three, he aptly died in “glory”, despite the fact that his death was brutal, and alone. He chose to stay quiet instead of divulge the information he knew. Eugene, Hee Sung & Dong Mae, enjoying the cherry blossoms together. Gu Dong Mae was the epitome of the tragic second lead, complete with a tragic backstory and a love that would no doubt be unrequited until the very end. He is your typical gruff on the outside, but actually caring, with a soft spot for those he calls his friends and those who are loyal to him. However, even if you are his friend, if you do betray him, he will only show a little bit of mercy, but you’d be on your own from then on. Dong Mae confronting Ae Sin after realizing her double life. Like Eugene, he did things for those he cares about, most especially if it had to do with Ae Sin. This is also why Ae Sin’s grandfather asked him to protect her over Eugene as Dong Mae would fiercely do anything to make sure she’s safe, even if it meant making her hate him in the process. His friendship with Hina was great too, and was a ship that I would have loved to have seen happen as they understood each other being the two broken individuals they were. I also liked the fact that Dong Mae did affect Ae Sin in the way that he did, as what he said haunted her and allowed her to question herself, which was needed for her to transition into becoming a better member of the Righteous Army. Again, among the three, our tragic hero died fighting, and with a “sad ending”. Kim Min Jung brought so much complexity to Hina, the hotel owner with a tragic past and a despicable father. Like Hee Sung, Hina is a character who hides her scars and inner demons with a mysterious and carefree front, and like Byun Yo Han, her performance was subtle and nuanced. Despite it seeming that she only acts for Joseon to go against her father, it is shown that she deeply does care about her native land, and makes use of her unique position in order to help Joseon as much as she can. She is the perfect double agent, and that one last act of rebellion against the Japanese was something she paid for dearly. However, I am comforted that she did die in Dong Mae’s arms, and was able to confess her feelings for him until she passed away. Don’t cross the women in this show. One has a gun, this one has a sword. 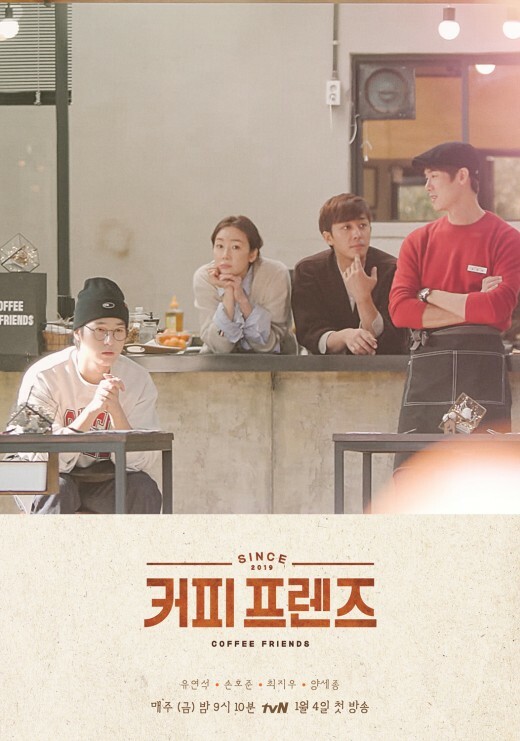 Aside from them, other standouts in this show are Choi Moo Sung as Gunner Jang, Kim Kap Soo as Hwang Eun San, Kim Yong Ji as the mute Hotaru, and Lee Seung Joon as the long suffering King Gojong. “Mr. Sunshine” definitely deserves all the praise that it gets, and is a great way to ease into historical Kdramas, as it boasts great characters, performances and powerful messages that can still be applied to today. Just make sure that you are okay with a slow burn that gets draggy in the middle, but rest assured that it pays off brilliantly in the end. Have you seen “Mr. Sunshine”? What did you think about it? Do you have any historical Kdramas to recommend? If so, let me know in the comments below!